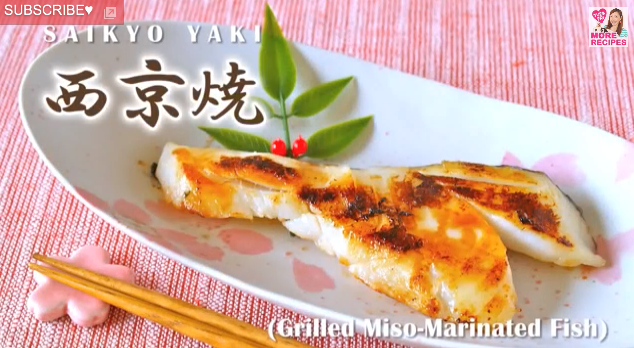 Today’s Japanese recipe from my favorite Youtube channel, “Ochikeron” is grilled miso-marinated fish, saikyo yaki. A special white miso called Saikyo miso originating in Kyoto, is used. If you don’t have saikyo miso (real saikyo miso is expensive and it might be difficult to find at regular grocery stores near you), any white miso would be just fine!